Dreamworks’s co-president of production sits down with FastCompany.com to discuss how 3-D is rocking the moviemaking world. In the last few years, CGI films have consistently been some of the biggest critical and commercial successes in the movie industry, and two studios are responsible for that excellence: Pixar and Dreamworks. And now, having pioneered what computer animation can do–and the emotional gravity they can bring–those two studios are trying to do something similar for 3-D. Yesterday, FastCompany.com sat down with John Batter, Dreamworks’s co-president of production, to discuss what 3-D means to the future of moviemaking. 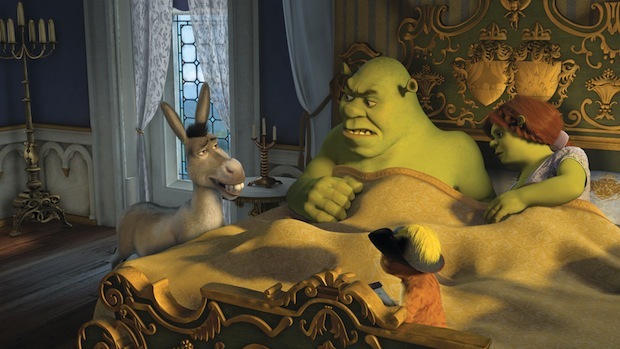 3-D returned to the screen a couple years ago, helped by Dreamworks. In that short span, how do you think the medium is changing? Our first 3-D release was Monsters vs. Aliens and every movie subsequent has been 3-D. If you think about 3-D as a platform, we’re integrating on it faster that any other enterprise out there. We’re building tools that will help make 3-D a more immersive part of the storytelling process. How do you mean? People think about the gimmick of things flying at the viewer. Is there something more subtle going on? If you go back to Monsters vs. Aliens, there’s an opening shot with a paddle ball, which came right out at the viewer. People thought it was hysterical, and people loved being reminded that they were seeing 3-D.
By the time you got to How to Train Your Dragon, there’s a seen where Hiccup [the main character] puts his hand out to Toothless [the dragon]. Is he going to bite or nuzzle him? You don’t notice this from the audience perspective, but that shot is slowly being brought forward into your space. That’s heightening the feeling of the moment. As a viewer, all you know is that it’s an emotional scene. 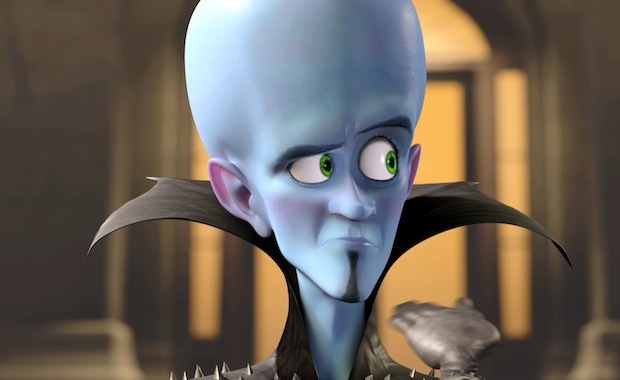 In November, with Megamind (pictured above), which stars Will Ferrell and Tina Fey, there’s going to lots of physical comedy, and the 3-D will accentuate that. And as you think about the future of movies, there might be realities in them, some of which are 3-D and some aren’t. We’re thinking about how people can tell stories in a way they haven’t in the past. But we’ve already seen 3-D come and go once, in the 1950s-1970s. What makes 3-D anything more than a fad this time around? Well, 3-D has already been proven as a premium viewing experience that people will pay for. But what’s making it more than a fad is how quickly it’s proliferating into handhelds and the home, in TVs and displays. Our content is going to move into those, with our Samsung partnership. And we’ll be on handheld devices like the Nintendo 3DS. What fundamental challenges remain in the medium? There are many things that are much harder in 3-D, and some of those hard problems include how you have characters in the foreground, background, and far background that are all in focus. To solve that, you have to shoot from multiple cameras and then create a composite image. That’s something we’ve been experimenting. So will 3-D fundamentally change the look of movies, in the same way digital photography or high-speed cameras did? Absolutely. Filmmakers in 2-D use a lot of tricks to draw your eye to a particular event, and some those simply don’t hold up in 3-D. For example, in 2-D you might create portions of the shot that are in focus and portions that are blurred. But blurred images don’t work in 3-D. They just look bad. You solve that with how you place people in 3-D, and how you light the scene. You might place something that’s the focus on a scene into the light, and put everything else out of it. Another thing that happens in 2-D is that you telegraph fast-paced action with fast cutting of a scene. In 3-D, that doesn’t work because it just makes viewers nauseous. The solution is that you might have longer cuts, but the action recedes and moves forward in space. You can also flatten things for action scenes. And you can also have a more dynamic relationship between the characters and the cameras. It seems like Dreamworks and Pixar have a much higher hit rate in their movies that your average studio. But few studios ever keep their quality high much longer than 10 years. What makes high-end animation studios different? Well, there’s a fundamental advantage that animated films have over traditional movies. Before we go into production we do everything on 3×5 cards, and we watch a hand drawn version of the movie. So when we go into full animation, we’ve already discovered the movie we want through editing and everything else. But in traditional movies, you only discover what kind of film you have in the editing room, after it’s already been shot. The other thing we have going for us is that it’s infinitely changeable. Which is a double edged sword, but we have flexibility throughout the process. So what’s the hardest part of your job? I’m impatient. Our process takes 4-5 years, and it takes us longer to change our technology that I’d like because we have to flow technology to all three of our studios before we can do anything different. But if I can cut the production time, so that we can spend more time up front on the story, I’ve done my job. Because I’ve learned in this business that story is king.